3 Princesses and 1 Dude! 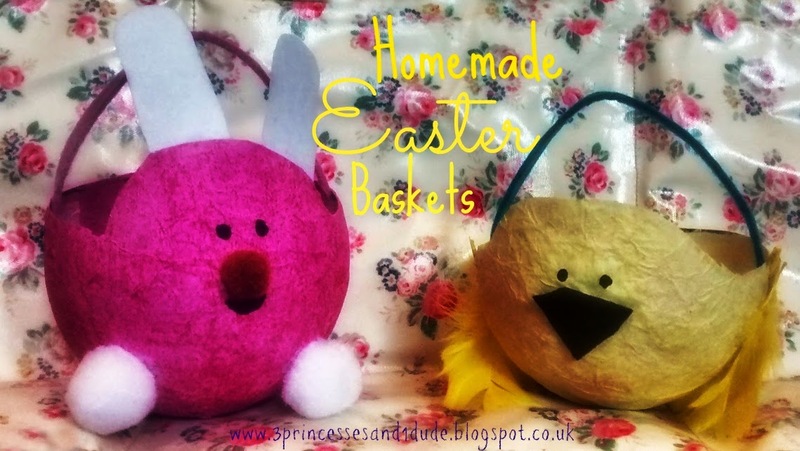 : DIY Easter Baskets. 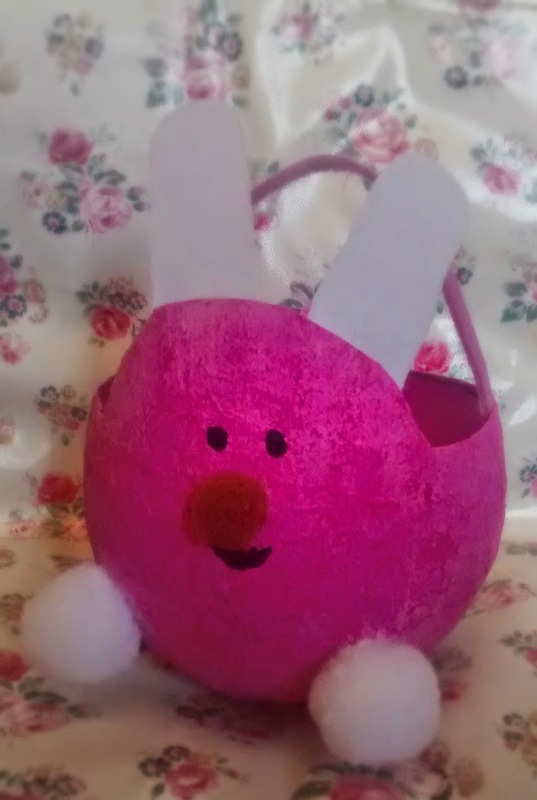 Did you see my Homemade Easter round up post? 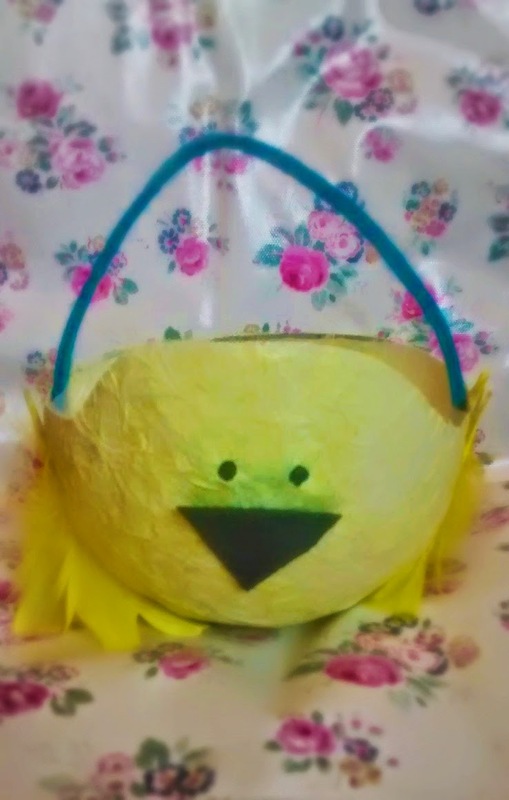 One of my suggestions was homemade Easter baskets and this weekend I got Evie and Jenson together and we settled down to a bit of paper mache-ing and made these beauties! I didn't manage to take any photo's of the before, seriously paper mache with my 2 monster's? Believe me it was MESSY! 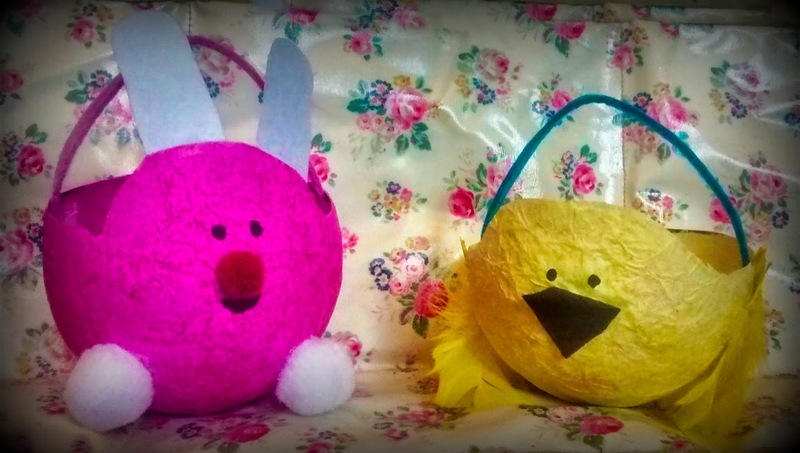 Saying that though they did really enjoy it and have since made paper mache eggs too! I actually think this is my new fave craft! But anyways here are the finished products complete with feather wings, felt beaks, pom-pom feet and pom-pom noses. Will you be making any home made goodies for Easter? What a cute idea - I never thought of using paper mache for these. These looks fantastic, the pink one is super cute!! I was dying to see how these turned out when I saw the photo's on instgram. They are sooooo cute!